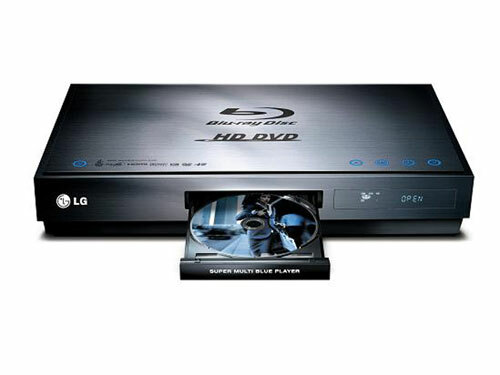 The support for interactive elements of the two HD TV discs means that – unlike LG’s BH100 player (above) – the Duo HD allows users to take advantage of picture-in-picture, more flexible on-screen menus and other adornments that HD players offer over DVD. So far, consumers have generally not taken to either of the competing formats, fearing that backing the ultimate loser in the format war will leave them with obsolete hardware. The dual-format players from LG and Samsung attempt to address that concern by allowing people to hedge their bets. Although pricing has yet to be announced, consumers are likely to have to pay heavily to exercise that choice. LG’s less-capable BH100 currently costs around $1,000.